[GIVEAWAY] Comment which promo item is your ideal gift for this Mother’s Day & Share this post to stand a chance to win 1pc x FREE Vanguard Sydney II Series bag (Worth $80)! Winner will be announced on 15th May 2017! 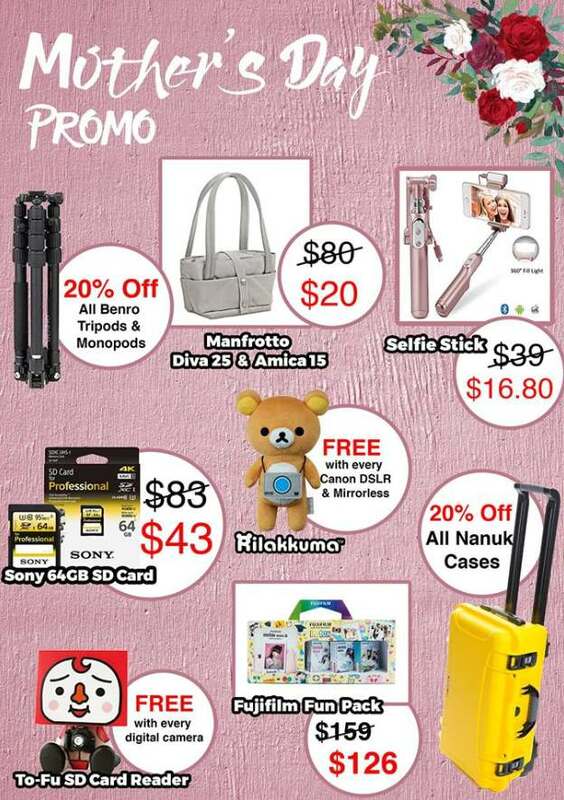 [PROMOTION] from Tuesday (9th May) to Sunday (14th May)! Winner will be announced on 15th May 2017! Find out more at SLR Revolution.